Bear Creek Lakes is one of Franklin County’s best kept secrets. From camping to fishing, to even whitewater rafting! 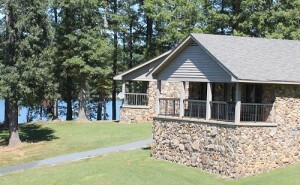 Fun and adventures are awaiting at Bear Creek Lakes. Whether you are here for one day or ten days, Bear Creek Lakes always has something exciting to do. Bear Creek offers over 160 campsites in 5 campgrounds on more than 15,000 acres of land maintained by the Bear Creek Development Authority (BCDA). For more information, see the Accommodations section. Bear Creek offers over 160 campsites in 5 campgrounds on more than 15,000 acres of land maintained by the Bear Creek Development Authority (BCDA). Most of these campsites offer electrical hookup and water outlets as well as campfire areas or cooking grills. All sites also have picnic tables for increased convenience. Fishing in one of the BCDA’s many lakes is ranked among the top in the country. Occupying over 8000 acres, the clean waters provide anglers from all over the country with abundant small and largemouth bass as well as crappie and channel catfish. 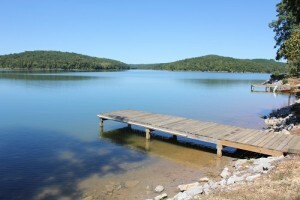 Swimming in one of Bear Creek Lakes is popular because of the clean water and sand beaches. Also, the warm climate offers an extended swimming season compared to many other areas in the U.S.
Bear Creek Education Center is your gateway to an exciting outdoor experience. They custom tailor activities specifically designed to meet your groups objectives. For youth and adults they offer programs designed to build confidence, promote co-operation and increase leadership skills. They also have programs for educating in the fields of flora and fauna as well as general outdoor skills.